Mud Wrap mud isn’t something you’d find just anywhere… it’s very special! 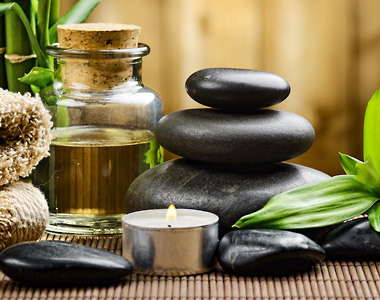 When you get this service from Spa Escape you will receive professional exfoliation with therapeutic salts, a relaxing massage, and then the body is detoxified with a Dead Sea mud wrap and essential oils! After the wrap your body is treated to a Vichy shower. These combined services restore balance and harmony to dry and sensitive skin, while also providing stress relief. The wrap may be substituted with a golden mask and foils. This service includes our rainforest scrub as well! If you’ve never tried this service we’d highly suggest it! You won’t believe how great you feel after! Be sure to leave us a great review of your mud wrap experience on either Facebook or Google! Check our monthly specials online because we may even have a deal on for these right now! We also sometimes run unadvertised specials so be sure to chat up our front desk on your way out to get the scoop!